Car Mechanics in Duluth That Get You Back On The Road! Get the best Oil Change Service, Transmission Repair, Brake Repairs, Engine Light Repair & So Much More! Our auto mechanics focus on safety both on the road and inside our auto repair shop. We are able to help motorists of any make or model. Just let us know how we can help! Our local auto repair shop will always provide true honest and direct solutions for any car troubles. For over 12 years now, we at Southern Motor Works have been proudly serving customers from areas all around Suwanee, Sugar Hill, Lawrenceville, Buford, and Duluth to ensure their cars receive the best service in town! Call us today at 770-497-0771 to schedule an appointment for high-quality auto repairs at an affordable cost. No one enjoys car problems- or even routine vehicle maintenance for that matter. When you have issues with your vehicle, you need a good mechanic that you can trust. You also need an auto repair shop that can take care of you like you’re important. That’s Southern Motor Works. 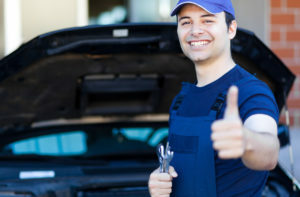 For nearly two decades now, our auto mechanics have been providing honest, affordable car repairs with the best quality parts in the quickest turnaround possible right here in Duluth Georgia. "Southern Motor Works is the most customer oriented repair shop I have found in my thirty years of owning cars in Atlanta. All work comes with an inspection of the car and recommendations of repaired are given based on the risk to safety." "I cannot explain how pleased I am with Southern Motor Works! I just moved to the area and needed my car seen ASAP and they made an effort to check it out despite how busy they were." No one needs car problems in their life. But, when you have to have your car or truck serviced, you need mechanics you can trust to tell you what’s going on and do the job right. 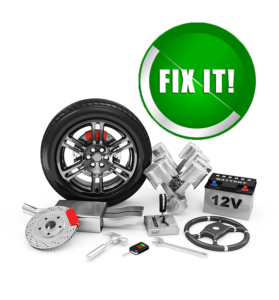 You need auto repair experts you can count on. That’s why you need Southern Motor Works. Whenever we need our car repaired, one of the first things most of us think is, “Where’s an auto shop near me that I can trust?” If you live near Duluth, we want to be your first choice. For more than 12 years now, our mechanics have been doing all they can to get our customers safely back on the road- without breaking the bank! We do more than just fix cars and trucks. 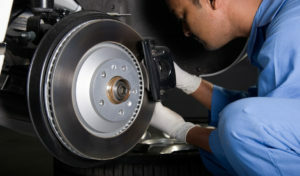 We work with our customers so that know what’s going on and what needs to happen for their vehicle to run efficiently. We want to be your local auto shop. Automobiles are one of the world’s greatest and most used types of transportation today. With a large number of cars used on a daily basis, problems are bound to arise eventually. Whether your car needs transmission repairs, an oil change, or simply a general maintenance check, we at Southern Motor Works ensure that the job is done right every time. 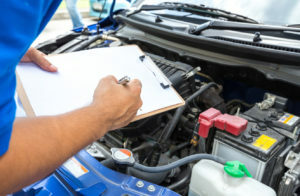 By bringing your car infrequently for inspections or repairs, you could save yourself thousands of dollars by preventing further and more extreme damages to your car. At Southern Motor Works, we make it a priority to provide the low prices without compromising the quality of our work and materials. We at Southern Motor Works ensure that your car will see the best Duluth mechanic it has ever known! With our highly trained professionals, any issue with your car will be quickly diagnosed and solved within a reasonable timeframe. Before repairing your car, our honest mechanics will provide you with a complete breakdown of the problems your car may be experiencing and the cost to fix these complications. We ensure straightforward analyses of your car’s condition with no hidden fees that you need worry about coming in the mail a few weeks later. Come to your local Duluth mechanic at Southern Motor Works to let us faithfully and honestly provide you with the best auto repairs in town! Many times, car owners neglect the importance of transmission inspections and repairs. Without a properly running transmission, your car will not be able to function as it should. The function of the transmission is to provide the internal combustion engine an output for speed and operation of your automobile. To ensure proper maintenance and repair of your transmission, finding a reliable mechanic that is skilled in these repairs is essential. At Southern Motor Works, our most skilled mechanics are are your disposal in repairing problems such as these efficiently and at an affordable cost! We at Southern Motor Works think that it is important to know the people you’re entrusting with the repairs of your precious car. After years of providing quality car repairs to happy customers all around Duluth, our mechanics have gotten to know many of our customers on a personal level. With complete honesty and friendly attitudes, we have built strong connections with each of our clients that allow for a foundation of trust to be built. By building such a foundation, you can be confident that you’re receiving the quality work your car needs from honest experienced mechanics near you. We get a lot of customers who have had negative experiences with taking their cars to the dealer. Some people tell us that they feel it’s going to cost them big time every time they take their car to a dealer. We’ve all had nightmare stories where we’ve taken our vehicle somewhere and what seemed to be a little thing turned out to be an expensive undertaking. If you’d like to work with mechanics who work with you to protect your budget, call Southern Motor Works. We’re your local auto shop, so not only do we work on your vehicle, but we shop at the same grocery stores, our kids go to the same schools, and we go to the same malls. This means we’ll see you around Duluth and the surrounding areas. When we do, we always want to feel good about seeing you. To make that happen, we know we always have to do our best for you. Our mechanics treat every vehicle we work on like it’s our own. That’s how you know you can trust our auto repair. We stand behind our work, and we’re not going anywhere. We understand that a great reputation is means everything these days, so we feel strongly that we have to earn our reputation for every oil change, every transmission, and every phone call. We understand that the path to success is by doing the right thing. Auto Repair Services Done Right! Stop taking your car around town to see all the different “specialists”. We have the best mechanics with the most experience and training to make all your car repairs and all your regular vehicle maintenance. Call us for an appointment today! Bring your car to Southern Motor Works auto shop. We’ll treat you and your vehicle right every time. If you drive a Japanese vehicle of any kind, you can rest assured that our mechanics are fully qualified to work on your car. Call us to schedule an appointment today. Jimmy Tran took over the auto shop here in Duluth 12 years ago and has worked hard to build up and maintain his current list of clients. He presently services over 600 clients at that location alone. Why so many? Because his mechanics are simply that good! That’s what it’s like when you treat people right! Plus, once you find an honest mechanic, you tend to go back! Jimmy is a hands-on owner-operator. When he’s not working on cars himself, he’s out in the community building relationships. He is a well-respected member of the Gwinnett Chamber of Commerce. He loves to give referrals and enjoys giving back to the community any way he can. Why Come To Our Auto Repair Shop? Like most mechanics, the guys that turn wrenches at Southern Motor Works don’t just work on cars for a living. Like we said, our mechanics repair cars because they love doing it. We understand that our reputation depends upon every oil change, every transmission, and every engine rebuild. At Southern Motor Works, doing a great job is a matter of pride and craftsmanship. We have 7 lifts and repair bays that always seem active, but we can always make time for your vehicle. Whether you have a car or truck, our goal is to always provide affordable auto repairs. There are dozens of auto shops nearby. When it comes down to it, it’s important to work with mechanics that you trust and that understand that they need to continue to earn your trust every time. That’s Southern Motor Works. When you leave Southern Motor Works, we want you to feel comfortable that you will get the best car repairs in Duluth or anywhere for that matter. Our first goal is to use the highest quality parts in the market, but we’re also willing to explore other options if there are budgetary issues. Sometimes refurbished or used parts can work out just fine to get you back on the road. Either way, we’ll help you decide. Our mechanics partner with you to help you decide what’s right for your vehicle. People bring their vehicles from all around Gwinnett County. Besides being a local auto repair shop for everyone in Duluth, people bring us their cars for service from Buford, Lawrenceville, Sugar Hill, Norcross, and Suwanee. We’re the auto repair shop you can always count on. Call us today at 770-497-0771 for all of your car repair needs!